Researchers have discovered that eating pistachios provides fiber, protein, potassium, and may improve blood pressure. 1. Pistachios are a naturally cholesterol-free and sodium-free food that contains 13 grams of fat per serving, the majority of which (11.5 grams) comes from monounsaturated and polyunsaturated fats. Saturated fat contributes only 1.5 grams per serving. 2. One serving of pistachios has as much potassium (290mg, 8% of the Daily Value) as a half of a large banana (250 mg, 7% of the Daily Value) and 3 grams of filling fiber. 3. Removing nuts from their shell help you eat slower and manage how many nuts you can eat, rather than grabbing a handful of nuts out of their shell and plopping them in your mouth. 4. People that ate pistachios lost weight and improved their triglyceride levels (blood fats). 5. Pistachios are one of the lowest calorie nuts with only 160 calories in a single ounce, which is about 49 pistachios. 6. 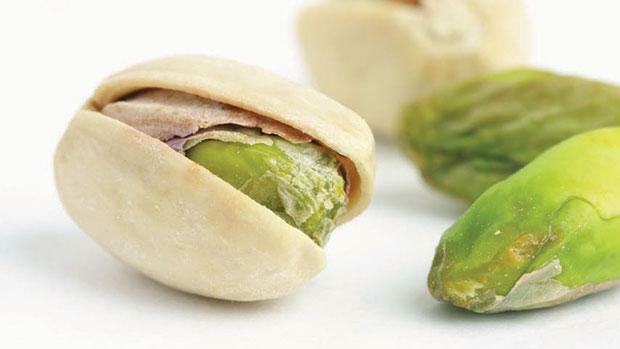 The pistachio nut is filled with fiber and protein which helps consumers feel full and satisfied. 7. A study showed that those who eat pistachios have seen improved measures of cardiovascular health, compared to those who didn’t eat pistachios. 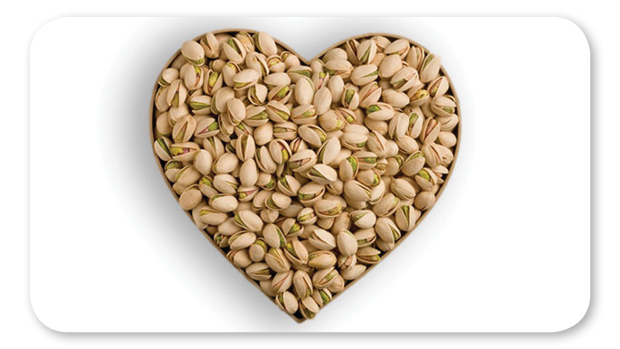 Pistachios promote healthy hearts, especially in people prone to type 2 diabetes.